Uncategorized Archives - Career Span, Inc.
As a career coach working with multi-potential clients ranging from first time job-seekers to corporate executives, I’m astounded by the power of one person’s capacity to derail meaningful and productive work for other individuals in their workplace. So many highly productive professionals leave their employer because of the toxic environment produced when “soft”skills are missing, especially when the person is your boss. Today, we describe the skills of respect, honesty and integrity as something, “soft”. This adjective desperately needs re-branding. The word “soft” contains a plethora of possible meaning but none encompass the intangible character traits of respect, honesty and integrity underpinning healthy workplace behavior. There is one obvious skill-set employers seek in a potential hire, the employability skills or “what” a person brings to the table such as core competencies, educational achievements and proven experience. The second set of skills carry greater weight and is the sustainability or “how” we do our work such as the core abilities of self-management and healthy interpersonal interactions. For the vast majority of people who resign from their position, it isn’t the role they walk away from but rather the person or persons around them creating intolerable stress. This is why you can love what you do, but hate your job. The root of many workplace issues is the deficiency of what we’ve labeled “soft” skills and the consequences can be dire for retaining top talent and increasing the company’s bottom line. Until we re-brand “soft”skills as “sustainable”skills our future workforce will consider the most imperative skill-set as optional. Simply put, sustainability skills or a lack thereof have a far reaching impact on the workplace. The ability to sustain your job while ensuring the well-being of others around you is anything but soft. Can we please re-brand this adjective? Carla Hunter, President of Career Span, Inc. is a Master Career Counselor and Board Certified Career Coach by the National Board for Certified Counselors. She received her undergraduate degree from Asbury University and a Master’s degree in Student Development and Counseling from Eastern Kentucky University. Carla has the highest credentials in the career development field with a successful private practice since 1999 and extensive experience as a workforce development career consultant for over a decade. She has trained and coached workforce development specialists to exceed performance goals with a proven methodology of career advising and excellent customer service. As a workforce development consultant her expertise is building an effective quality service model for customers and clients emphasizing the imperative steps to reaching successful outcomes. She has trained over 120 career professionals to assist and empower clients in finding meaningful work through her credentialing curriculum. She works with a broad spectrum of individual clients ranging from high school students preparing for college to working adults making career changes or experiencing job loss. Carla has developed extensive team-building curriculum and facilitation sessions for corporate and organizational clients including strategic planning, conflict resolution and becoming a highly effective performer. She has written multiple career articles for Kentucky.com and AOL and contributed to the 1st edition of Kentucky’s Office of Employment and Training’s You’re Hired! An Action Plan for Success in Today’s Labor Market. Carla co-hosted Twitter’s national chat “#Schools2Life”. She blogs about career development and is the author of the career interest inventory, Finding Your Place in the World of World. To schedule an appointment, call 859-608-9756. The truth is, this constantly shifting standard is a moving target never again to be still enough to accurately measure. We’re in a decade of warp speed as our world gives birth to a knowledge economy. The intense contractions started in 2001 and by 2008 the confluence of many factors ushered in a new workplace where all the rules changed and many workers were left behind. Schools for the most part are also being left behind. Generally speaking, schools are preparing our students for the wrong economy. A new economy with a global technology is trumping industrialism requiring not only skills but a certain imperative mindset. Think about it. We could set standards for college and career readiness today that totally shift by the time each one is implemented into a new curriculum or a standard methodology. Yes, students must be able to read, write, appreciate the basics of math necessary to live while also developing an excellent skill base of web proficiency. Those skills are not negotiable and are at the core of all thriving economies. College and career readiness can’t be solely about a core set of competencies for the future. It is about a mindset, an attitude and a posture of openness to possibilities not yet created. I’ve helped countless college graduates working minimum wage jobs. They scored above 30 on their ACT, received a bachelor’s degree and maintained a 3.9 GPA. They might have been college ready and academically successful yet were clueless about what career readiness really means. This blog will address the five crucial mindset principles every student must have for success beyond high school in the 21st century. Post-secondary education’s myriad of options is certainly a necessary step. The issue is have we trained our students to make effective career decisions? In the next post, we will address the first mindset principle: every person is an entrepreneur. For now, what does career readiness mean to you? Your thoughts are welcome. Today’s job search can be dramatically impacted by the way you use the Internet. One simple strategy can make a huge difference. First, let’s differentiate between the ineffective and effective strategies. Many job seekers default to watching job boards, applying online and wait to be called for an interview. This strategy is ineffective and downright depressing for job search morale and a sense of positive momentum. You can apply on most job boards for positions that seem similar to your skills but never receive an employer response. Job boards are a good place to camp out if you’re searching for a specific sales position with a company experiencing constant turnover. Otherwise, job boards are like trying to drive a car in neutral. You’re not going to get anywhere fast. Why would an employer pay for a posted opening and get inundated with hundreds of resumes to spend countless hours trying to parse out the viable candidates to interview? Watch aggregators, connect to people who work for companies with the posted opportunities on the aggregator and get your resume in the right hands. Aggregators are websites generating revenue from advertising rather than employers paying to post the opening on their site. Aggregators scan millions of pages for keywords and update a constantly changing mix of links matching their keyword search. The aggregators may display website links of small businesses who never paid to post the opening, but was caught in the net of an aggregator’s keyword hunt. In addition to company webpages, aggregators pull from newspapers, articles, journals and a plethora of other resources. Use aggregators to learn about emerging and growing companies. Be targeted when using the aggregator by narrowing your search with keywords of job titles or professional designations. Use a specific zip code for geographic location openings. In the next post, I will go more in detail about how an aggregator can give you great insight to target an employer who needs your skills for their gap. What aggregators do you use? What’s in your resume word cloud? Mine captures what I enjoy most: helping others develop a meaningful career. But let’s face it, broccoli STINKS when you cook it. Similarly, life’s obstacles are proven to keep our life priorities in order yet like cooked broccoli, it stinks to experience loss, challenges and difficulties to overcome. Life’s troubles do smell like cooked broccoli, yet also bring out the best in us if we let them. 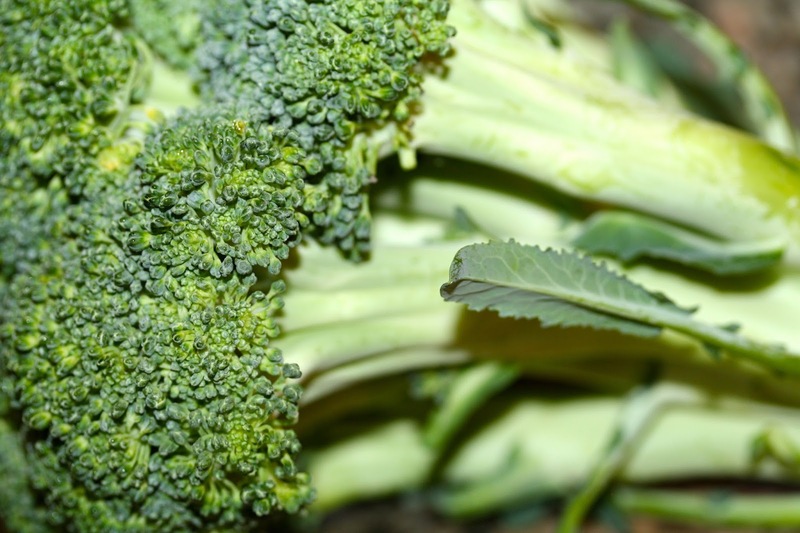 When life presents the “cooked broccoli” moments that stink, remember the benefits it provides if you allow it. And don’t forget to light a candle.